Feb22 Comments Off on Goodreads Giveaway of America’s First Daughter! 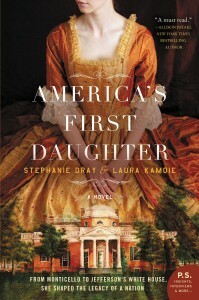 Goodreads Giveaway of America’s First Daughter! Just a quick note to let you know that our publisher is offering a great giveaway of America’s First Daughter over on Goodreads (U.S. only). Hop over here to enter! And good luck! ← Get a Signed Book from Fountain Bookstore!